Whenever I spot those 3-for-100 stores, I always buy Apas biscuit. This biscuit is very thin, oblong-shaped, topped with sugar. This is native to Philippines. It is so crispy and thin that I can finish a whole pack in less than 5 minutes! 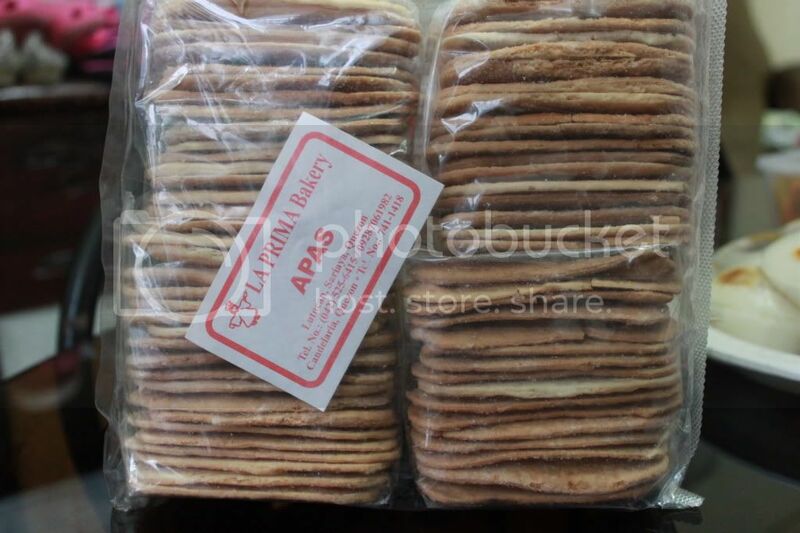 Now that I have kids, it is not only me who is addicted to this biscuits. Whenever I buy this, a pack is no longer enough, even if it contains smaller packs because all of us can finish it in one sitting. My little girls love it to bits that sometimes, they consume everything to themselves!